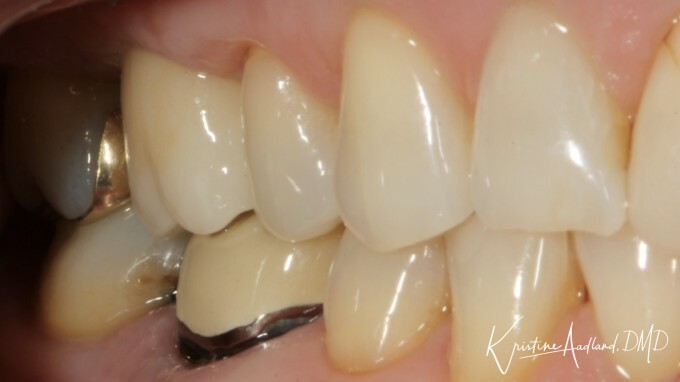 Implant crowns are by far my biggest ROI when using my CEREC and I love not only how simple the process can be but how gorgeous they are. I schedule my patients for two, 30 min appointments and often they are out the door before that. My assistants do the initial scanning, the initial design, and then I check it and make sure I like the emergence profile and push mill (this way I can say I made it ;). My assistant places the crown on the Tibase and we get the patient in within a few days at the most. My personal time with the patient is typically about 10 min unless there is a hiccup. It's amazing. We have really been trying to focus on just taking a few minutes to contour and characterize all of our restorations instead of racing from the mill to the oven. It's so much fun for my team to see what they are capable of doing and it really does just take a few extra minutes. 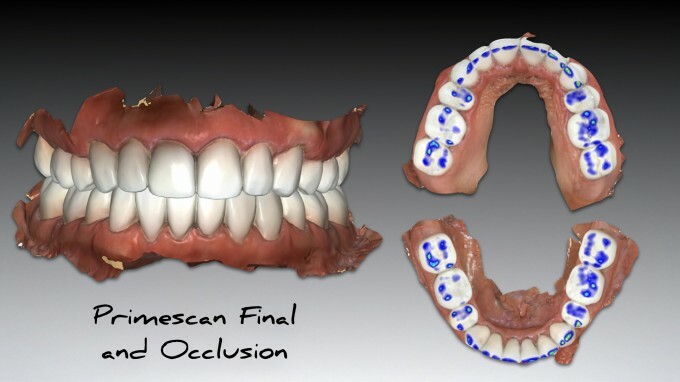 If you are not doing implant restorations, do yourself and your patients a favor and take level 3! You will love the results!! Check out this upcoming webinar! The introduction of a highly translucent zirconium-reinforced lithium silicate glass ceramic foundation, supporting average biaxial strengths of over 541Mpa will be presented. Be one of the first to learn about the benefits of milling a partially-crystallized material without a lengthy workflow process that may compromise marginal integrity. 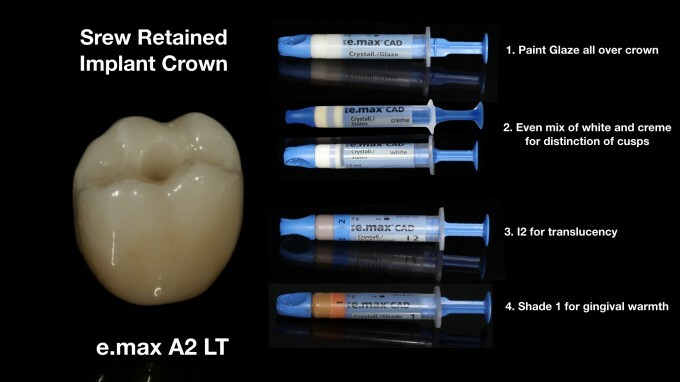 This “Out of the Box” silicate material will help you meet the patient needs of strength, shade reproduction, minimally invasive preparation, with ideal translucent esthetic results. 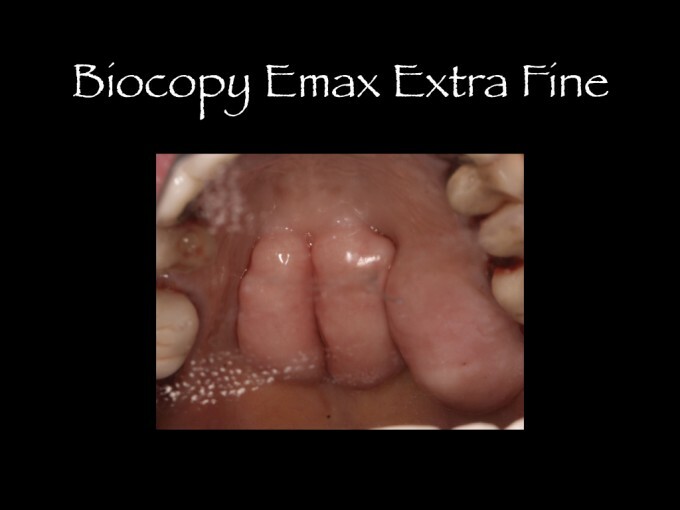 Clinical case indications, cementation protocol and results will also be showcased. 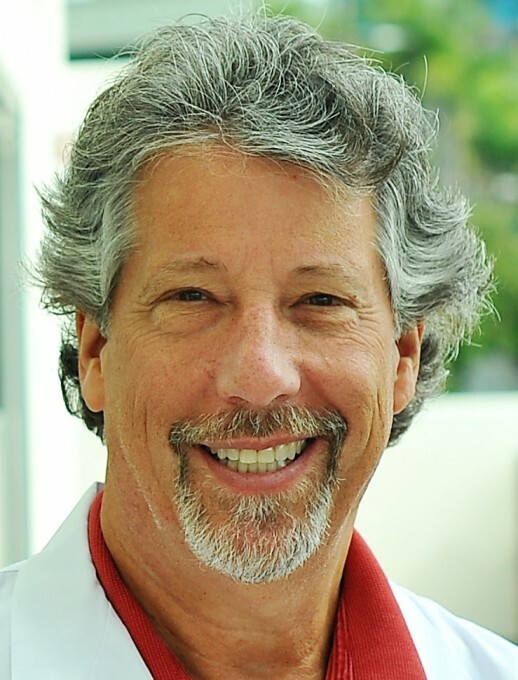 · Understanding of available chairside materials to meet patient indications. · Learn streamlined digital chairside process flow to minimize post-mill adjustments. · Streamlined processing of lithium-silicate restorative materials. · Effectual “color correction” staining techniques to reproduce a shade tab. 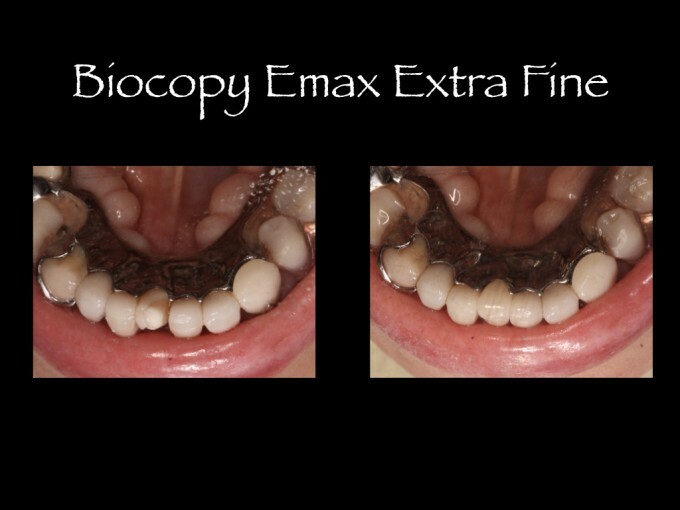 · Long-term success through effective cementation protocols. For most of our decisions as clinicians and business owners, the motivation is “how will this impact those I treat?” Whether it’s investing in updated technology or implementing new procedure methods, the decision must prove mutually beneficial for the practice and patient. That’s what got me into chairside dentistry 14 years ago. 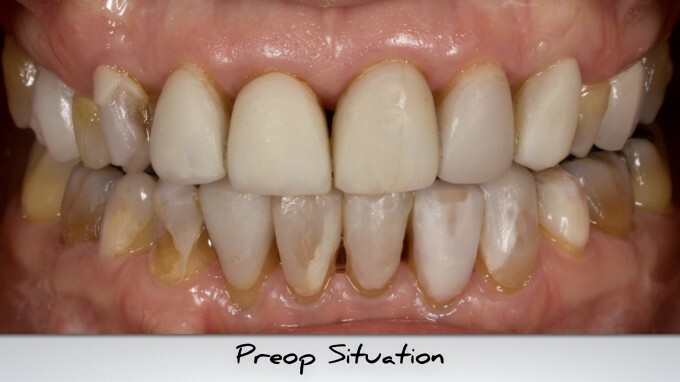 Keeping the restorations in-house was attractive to me from a cost standpoint, but more importantly, it enhanced the patient experience by eliminating the second appointment to remove temporaries and fit the lab restoration. It was nice to be completed faster, for both parties. More than a decade later, I’m still experiencing the benefits of the chairside investment and that is what pushes me to continue to expand to innovations like high-temperature sintering furnaces. I’ve found that this new device complements my existing chairside workflow, while increasing efficiencies overall. Two years ago, I introduced a high-temperature sintering furnace into our process because of its capacity to sinter zirconia. 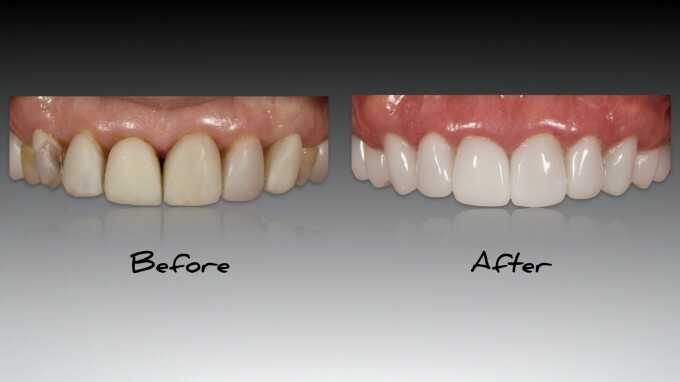 My practice uses an oven for staining and glazing, and a four-motor milling unit to perform the dry mill of the zirconia. 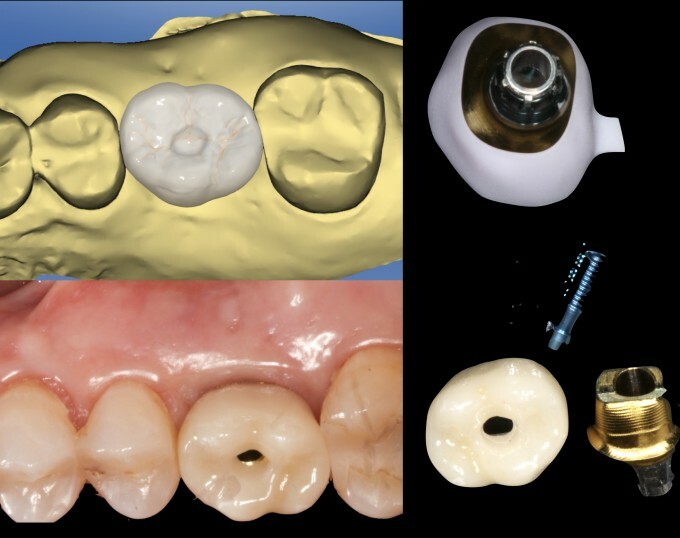 High temperature furnaces certainly have universal capabilities and can serve a dental office in many ways, but for our needs, specifically, we were excited by the sole purpose of firing zirconia for small three-unit bridges and single unit crowns. 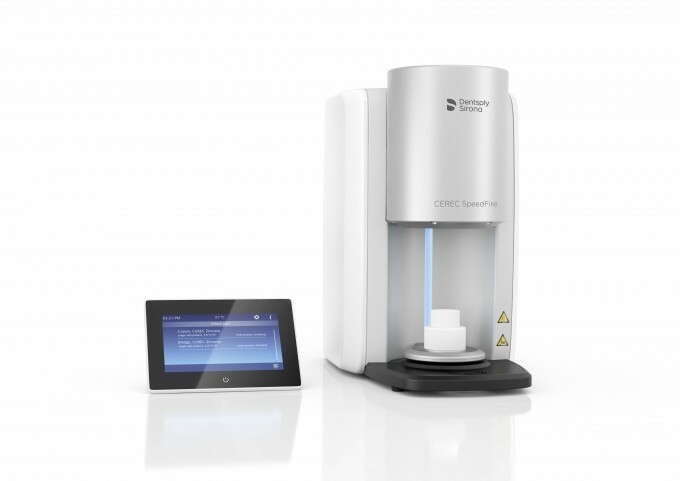 The furnace I use is the CEREC®SpeedFire by Dentsply Sirona because it is extremely quick as indicated by the name. It has the capability to dually sinter and glaze, and it reaches high temperatures fastto reduce downtime waiting for the outputs. This furnace is also the smallest of its kind available on the market. I appreciate this smaller footprint given that I have other ovens and chairside equipment I use in combination with the SpeedFire, but I don’t have to devote scarce space to house it. The choice of material used in the furnace has the power to drastically affect the final outcome. There are many factors that all contribute to the material selection and that may require a trial to know what works best. 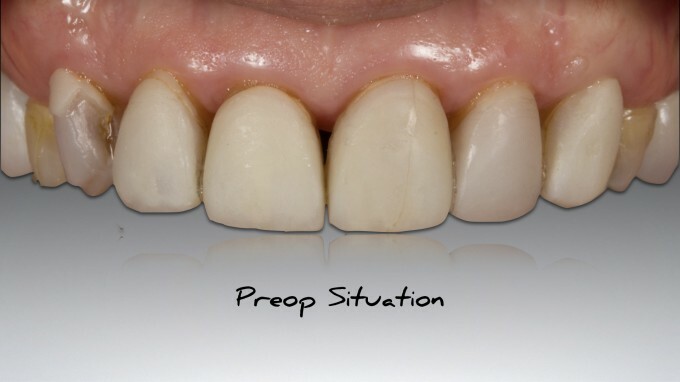 Some factors I examine are the prep design, the esthetic requirements, and strength. 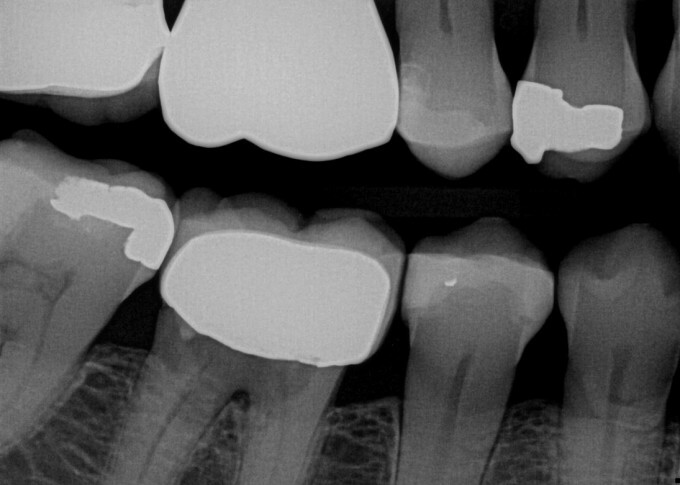 For second molars, I lean toward using the strongest material available. 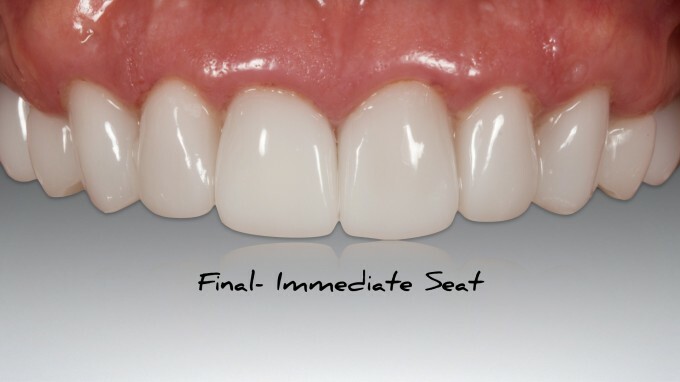 Ideally, you find a material that is well-balanced in terms of strength and esthetics. As more new materials are developed and introduced, the efficiency of high-temperature sintering furnaces will be invaluable. Using a new material in an old furnace could take up to 90 minutes to heat and completely cool. With a furnace like the SpeedFire, it would be closer to 20 minutes for the same material. Despite where our comfort levels may lie, the industry is changing and will continue to push forward. The best reaction we can muster, even though it may be hard at first, is to get involved. Learn the new technology and jump in head-first because it’s not going backward. If we continue to invest in modernized materials and machinery, we’ll look back and appreciate the value and reap the rewards. 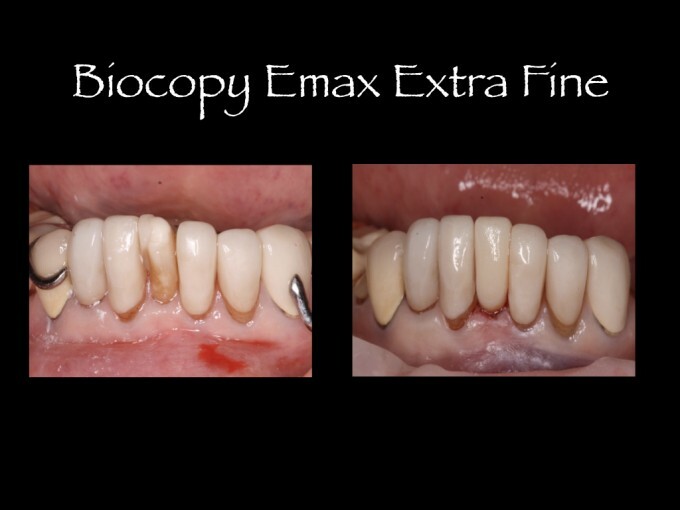 Very tough normal day case, made very routine due to CEREC! 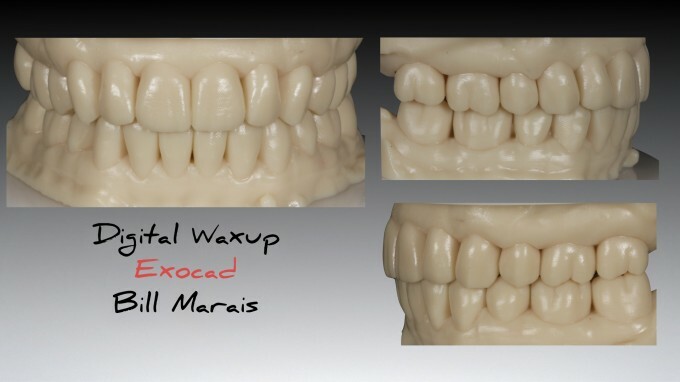 My cerec unit made what could have been a very difficult case very routine. 1) The patient has max and mand tori the size of boulders. Good luck taking impressions! 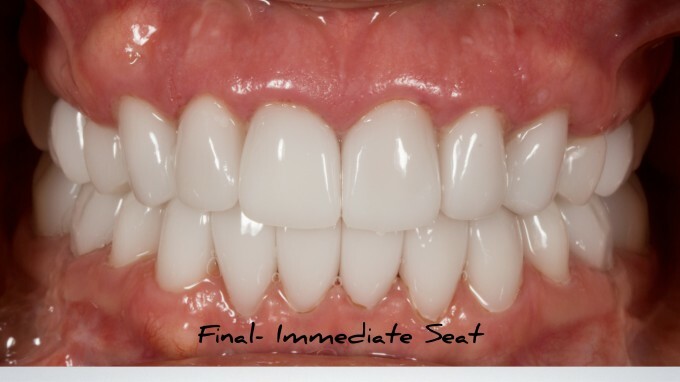 2) The patient needed the crown retrofitted to a partial. Thank you Biocopy! While I didn't have the entire crown, I had what I needed for the crown to fit the partial! 3) I hate prepping lower anteriors! This case I didn't have a choice. Extra fine mode milled this tiny tooth to perfection! 2. We have has many questions as to what we are doing in our 4B course we have now available. THIS IS ESSENTIALLY IT! How do you execute larger more comprehensive cases with a digital workflow. If you are interested in this, I encourage you to attend. I will be answering any questions you may have on this thread... but nothing replaces a workshop on advanced topics like this. So some brief background. 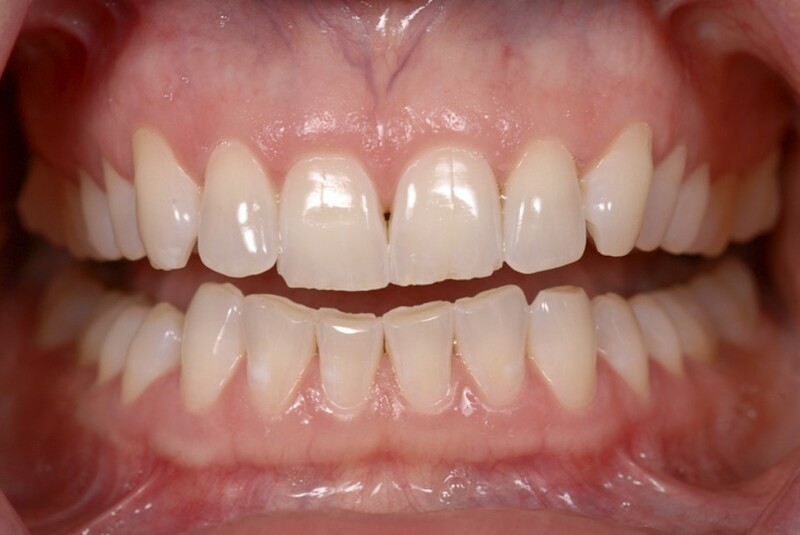 This patient had two rounds of ortho and orthagnathic surgery. 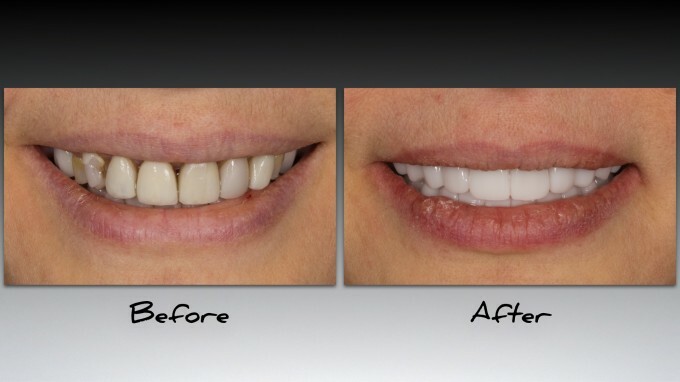 She had previous veneers that were destroyed over the years and with ortho (removing brackets, etc...) and she wanted a new, yes BRIGHT smile, and needed her occlusion restored. I executed this in two visits....yesterday and today. Exhausting days for sure, but was able to complete it because of proper planning and knowing how to execute it. I just completed it, so the pictures are immediate post op. 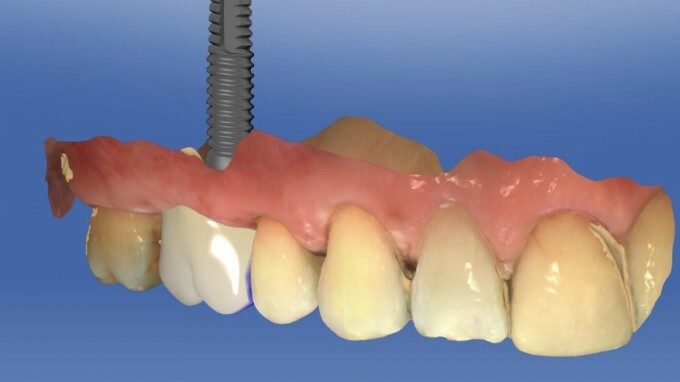 I used to restore all of my implants with a TiBase, then Atlantis came along and I found that workflow to be just so easy, that it is now my go to workflow even though it costs more. 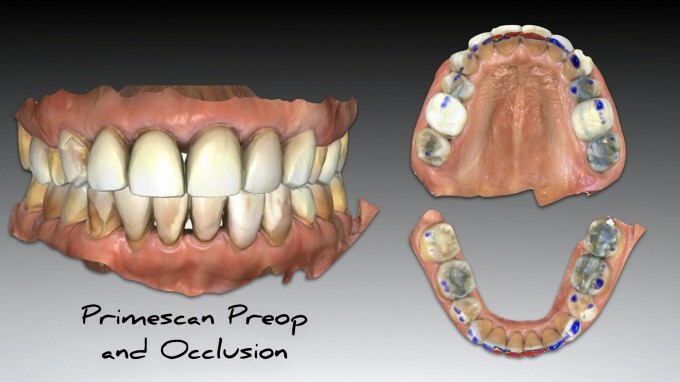 Almost all of my implant surgeries were with a cg2, but then Azento was introduced and now I'm doing a lot of my surgeries with Azento because the workflow is so predictable. 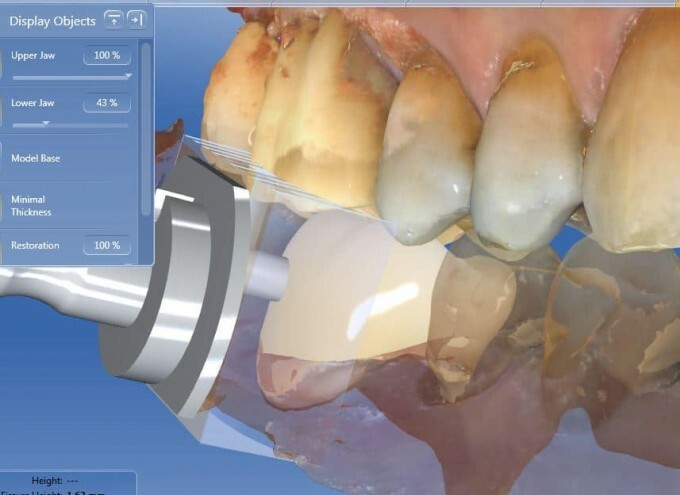 One of the best features of CEREC is that you have multiple workflows for people that want to save money and control every step of the process (I still do sometimes) vs. spending more but having someone else take care of the majority of the work. 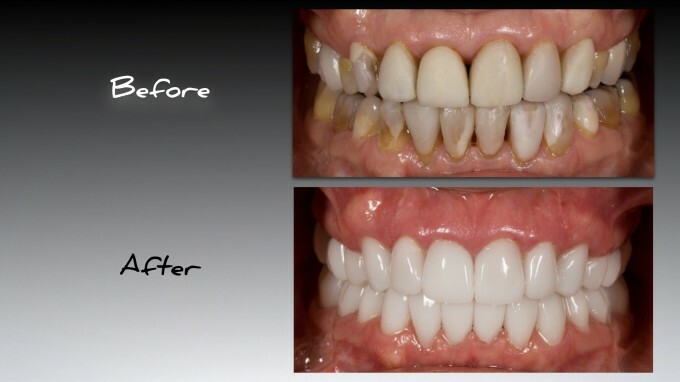 Best of all, you don't have to choose one or the other, you can do both or pieces of each when it comes to implant placement and restoration. This is just a routine Azento case where I chose to spend more, but have most of the work done for me. The first appointment, my assistant did the CEREC and CBCT scans. The plan was ready in a day and the surgery was the following week. The patient was scheduled 3 months later for delivery. 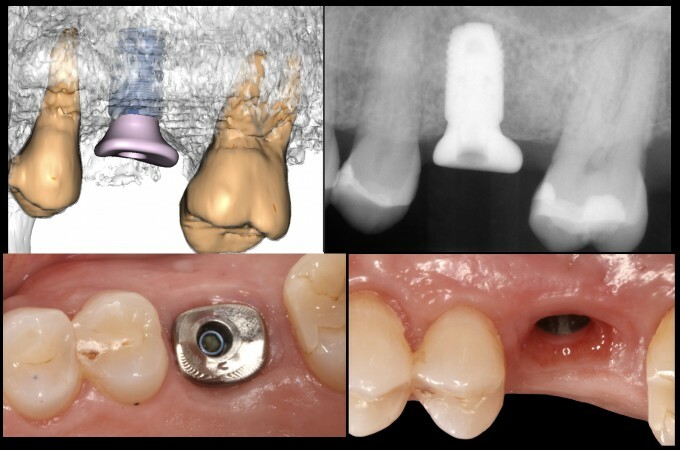 One week before her appointment, my assistant pulled the core file into CEREC, designed a standard crown on the included abutment, and cemented to the abutment that came with my Azento case to deliver a screw retained crown. 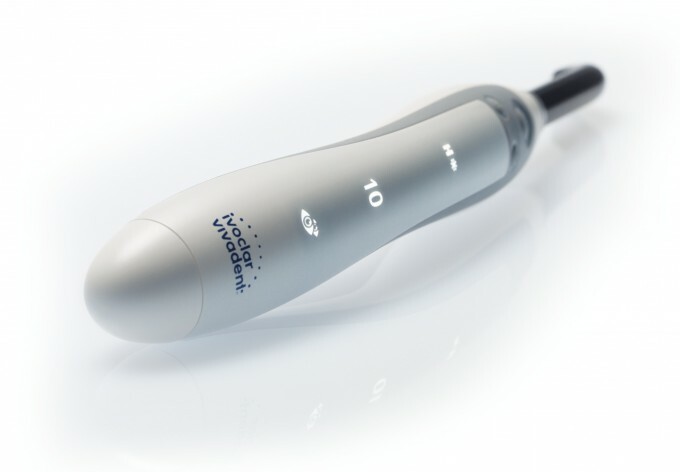 Ivoclar Vivadent announces the introduction of the new Bluephase®G4, the first intelligent LED curing light. Bluephase G4 automated assistance system detects if the handpiece moved during the curing process and the restoration can no longer be cured reliably. 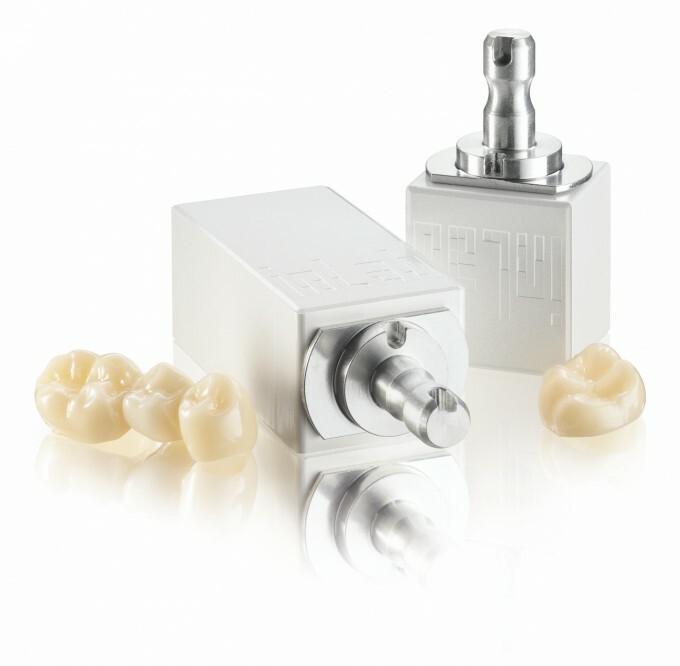 Depending on the extent of movement, the Bluephase G4 Polyvision&trade; either emits a vibration alert to inform the operator of the error and, if necessary, automatically extends the curing time by 10%, or&mdash;if the handpiece moves too much (e.g., slips off the tooth)&mdash;interrupts the curing cycle by automatically shutting off so the cycle can be repeated correctly. Like its Bluephase Style predecessor&mdash;the top-rated LED curing light for the last six years&mdash;the new Bluephase G4 features Polywave&trade; technology to enable curing of all dental materials. With the addition of innovative Polyvision&trade; technology, the uniquely stylish, user-friendly, and efficientBluephase G4 facilitates reliable and complete curing during polymerization procedures. The Bluephase G4 features a light output of 1200 mW/cm2, Polywave LED technology in a broadband spectrum of 385 to 515 nm, and a 10-mm wide light guide with a homogeneous beam profile. Additionally, the curing light is also equipped with anti-glare protection to prevent activation in open space. 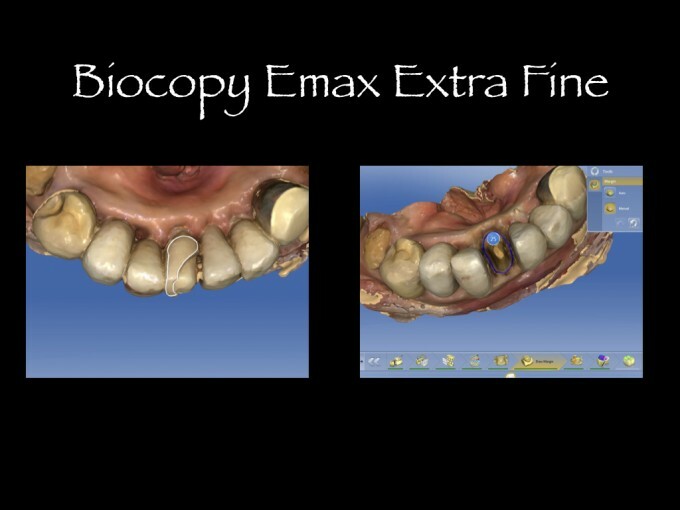 Combined, these capabilities contribute to exceptionally efficient use, high-quality results, and short procedure time. Overall, the new Bluephase G4 LED curing light promotes easy handling and discreet assistance for reliable curing results and satisfied patients. "Never judge a book by its cover," but we always do dont we? Hello friends. 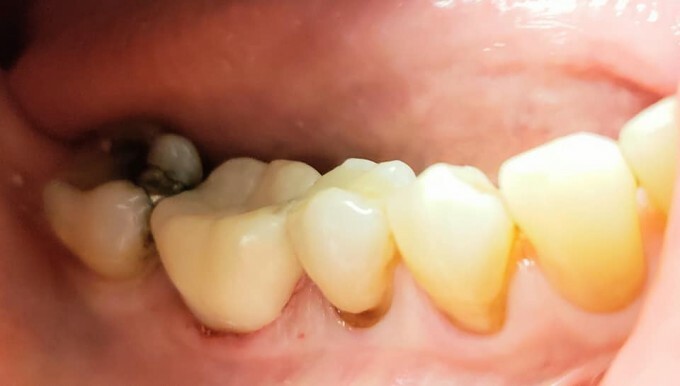 #30 appeared to be unrestorable and the patient adamantly declined an implant. Can "Herodontia" be used for treatment plan "phasing?" 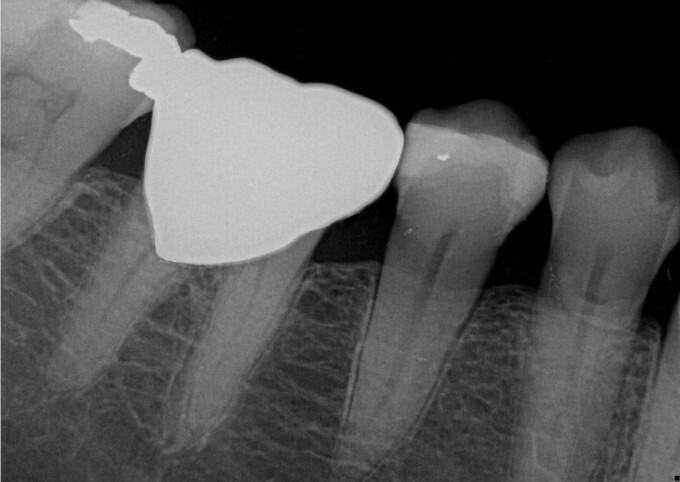 We took a cbct scan to evaluate whether we could even keep the RCT in house and did not refer. 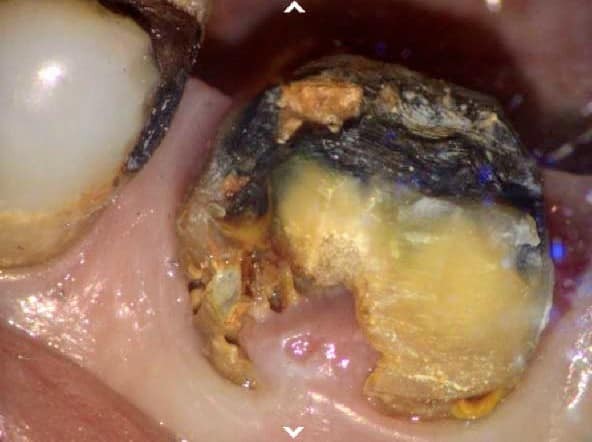 ​After a review of symptoms and pulp vitality testing we began the procedure and here is what we saw after we removed the PFM crown. After gross decay removal we were all shocked the nerve was not exposed or even blushing. Because Zirconia is so biocompatible with soft and hard oral tissues; we can place the crown quite subgingivally with great success. "Well, when this fails I want an implant"